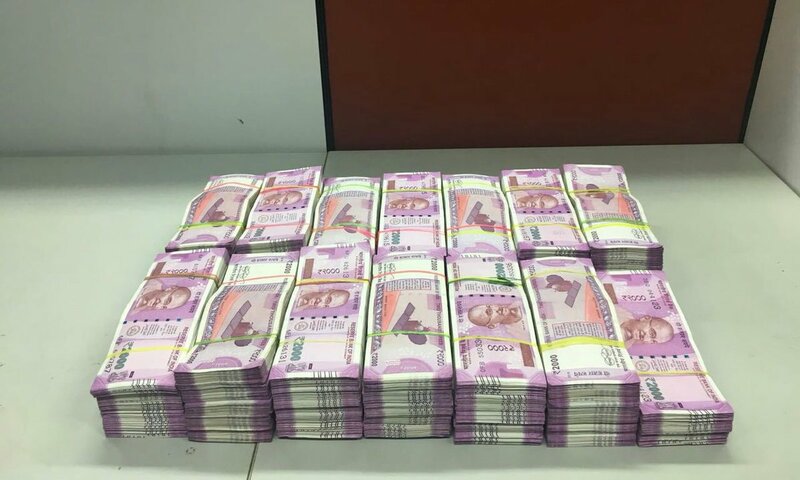 Bengaluru, Dec 2: The Income Tax (I-T) Department has seized Rs 1.4 crore in cash and 3.5 kg gold and jewellery during raids conducted on five medical labs and two In Vitro Fertilisation (IVF) clinic doctors during the last three days, said a top tax official on Saturday. In few cases, the referral fees paid to doctors in cheques was "disguised" as professional fees, he said. In cases where cash was paid, the payments to the doctors were found to be made on a fortnightly basis, the statement said. "Advance in cash paid to the doctors as an imprest (fund kept as an advance for a particular purpose and periodically restored) from which the actual referral fees payable was found to be adjusted. The advance is again recouped on a fortnightly basis," it added. The normal commission for doctors in these labs for a Magnetic Resonance Imaging (MRI) test was found to be 35 per cent, and about 20 per cent in case of Computed Tomography (CT) scan and other lab tests, it said. Some of the labs that were raided had employed "commission agents" who would distribute money to doctors in envelopes, Ramesh said. "The agents would insert a chit in these envelopes while giving them to the doctors, that would contain the details of the patient referred by a certain doctor, the doctor's name, test details and their amounts along with the commission amount to be given to the doctor," added the statement. The doctors were "very particular" about the amounts to be paid to them and wouldAreturn the envelopes if they didn't receive the payments, it added.